Looking for a unique gift for a little one's christening? 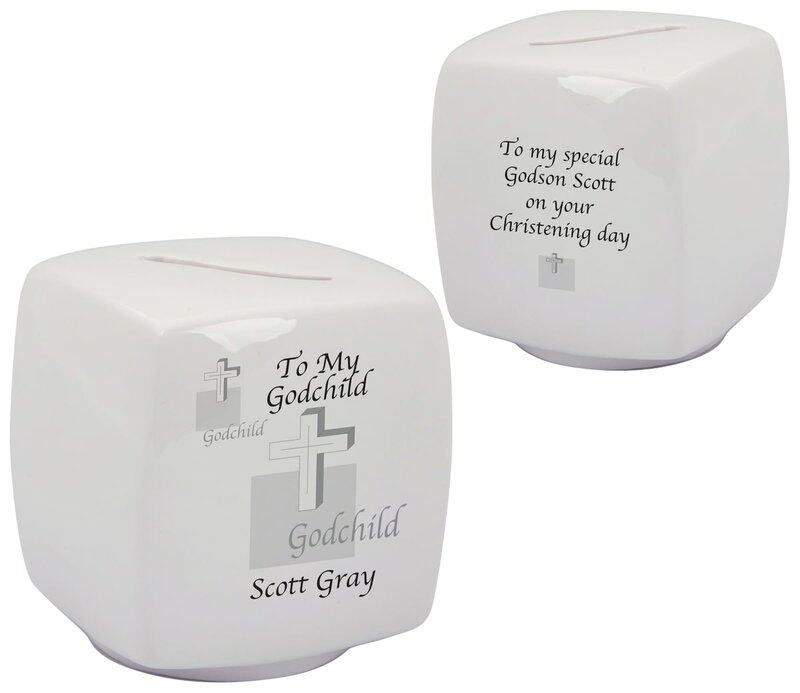 This moneybox is adorned with a cross design and a personal message. Making sure they get the best start in life and to encourage saving for the future, this china moneybox will be cherished as they grow.